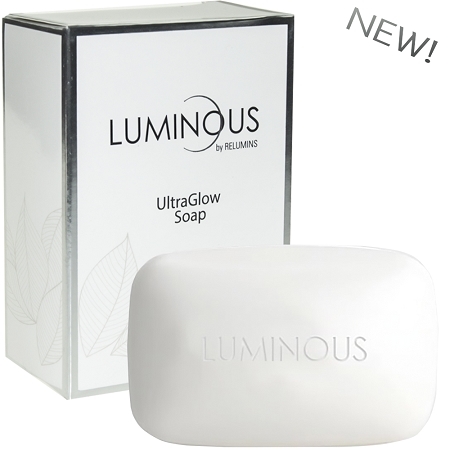 Luminous UltraGlow Soap is a luxuriously lathering, indulgent soap that helps lighten and brighten your skin with soothing active ingredients and White Plus Technology. 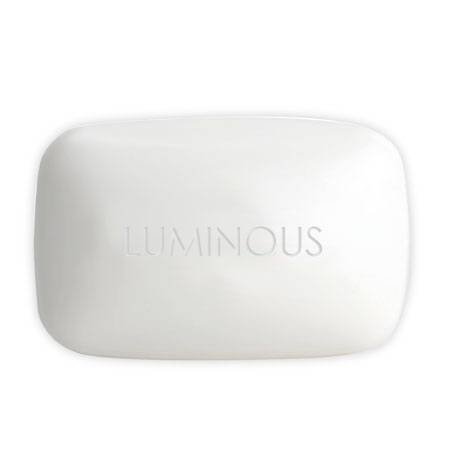 You’ve been searching for the solution to lighter more radiant skin without a harsh feeling that leaves your skin dry, and now Relumins Labs has the answer for you, Relumins Luminous UltraGlow Soap with White Plus Technology. 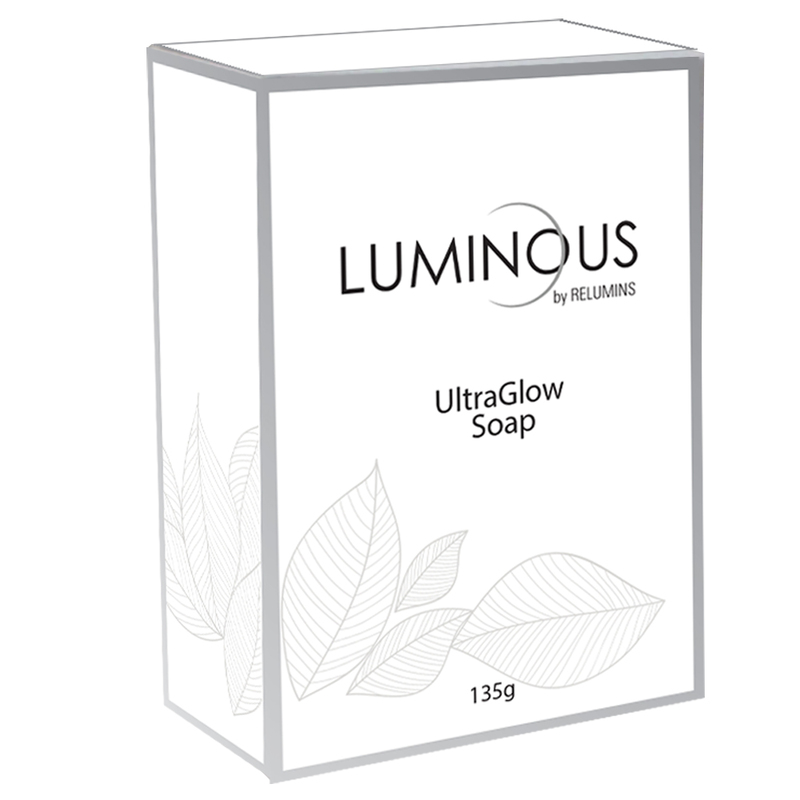 Lightening your skin should also leave your skin feeling pampered and well cared for, and Luminous UltraGlow Soap is a luxuriously lathering, indulgent soap scientifically proven to help lighten and brighten your skin with soothing active ingredients and Relumins White Plus Technology. Bisabolol – Soothing anti-irritant and skin-brightener extracted from chamomile. Butyl Methoxydibenzoylmethane – Helps protect from the Sun’s damaging rays. Coconut Oil – Leaves skin feeling soft and nourished, has natural antioxidant properties to assist with wrinkles and irritation. Caprylic/Capric Triglyceride -Derived from coconut oil and glycerin, an excellent emollient and skin-replenishing ingredient. 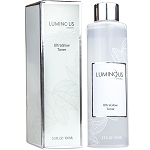 Pentylene Glycol - A humectant that helps treat dry and flaky skin by helping the skin retain moisture. Phenylethyl Resorcinol - An extremely powerful, yet gentle, skin whitening antioxidant scientifically proven by the Journal of Cosmetic Dermatology to reduce skin unevenness. Titanium Dioxide – Helps protect from the Sun’s damaging rays. 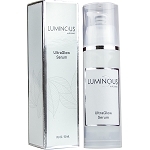 Relumins White Plus Technology: A proven advanced formula of plant extracts and ingredients for maximum skin whitening, lightening and brightening, as well as being gentle on the skin with no harsh acids. Coconut Oil – Leaves skin feeling soft and nourished. Phenylethyl Resorcinol - Skin whitening antioxidant scientifically proven by the Journal of Cosmetic Dermatology to reduce skin unevenness.